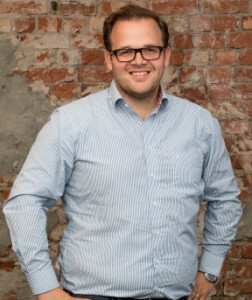 After graduating from the University of Munster and achieving a Master’s degree in International Management at the International School of Management in Dortmund in 2011, Stephan decided to join Bigpoint as a Games Analyst. Proving himself as a strong asset, the management gave him his chance after only 1 ½ years, appointing him as Lead Analyst. A year later, the results shown by Stephan proved that the management made the right decision and, with this in mind, they appointed him as the new Head of Business Intelligence. When asked about what important skills and traits are required in order to be successful, he says: « First of all you must be a good people manager and mentor. Secondly, having a deep understanding of your products, product development, the markets you operate in and the company structure is mandatory. The other points that I’d like to emphasize are the importance of taking time to understand stakeholder’s management, processes and data structures. Take time to master the analytical tools and always keep yourself updated with trends. ». While mastering all of the above skills, Stephan proved his leadership abilities and has shown tremendous results in building the Business Intelligence department. « It was no small feat, and we are impressed by Stephan’s results. We want to encourage these kind of profiles and the entrepreneurial mind-set in the company. » said Khaled Helioui, CEO of Bigpoint. As a result of his hard work and commitment to the company, Stephan Neupel has been promoted to a new role as Director of Business Intelligence. Do you want to be part of this adventure and be a leader of tomorrow? Join us at bigpoint.net/careers.